Whilst qualified medical personnel are the people to deal with any accident – there are things that untrained people can do to help the victim before medical help arrives. 1. Call 108 Emergency Response Service: You’d be surprised how often this is forgotten or delayed. Do it right away, every minute counts when someone’s life is at risk. Report the exact location of the incident and basic details of what has happened. 2. Do not attempt to remove helmets: According to study, you stand a chance of doing more damage if you try and remove a rider’s helmet. Do not ever remove a crash helmet, There could be vertebrae fractures or something even worse. Leave the helmet on a rider until they have been taken to the trauma center to be checked out. 3. Make the area as safe as possible: Other traffic or similar hazards could pose further risk to both the accident victim and yourself. This may require asking passersby and other road users to act as look-outs or signalers and help with directing traffic. 4. If you’re trained to do so, provide CPR (Cardiopulmonary resuscitation) and/or First Aid : If you have had proper training, you should check on whether the injured person is breathing, as they may have gone into traumatic arrest and their heart has stopped. 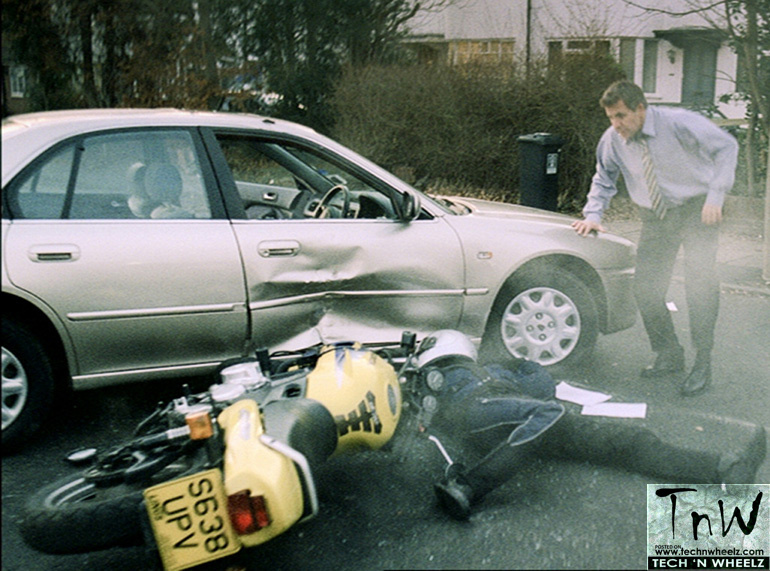 This happens more frequently to people involved in motorcycle accidents. With First Aid and CPR skills, you can help maintain the blood flow around the body and reduce some of the risk until emergency services arrive. technwheelz urges bikers to attend a basic CPR and First Aid class, you never know when you are going to need it. Most people don’t do this, but we can’t stress how important it is if you ever find yourself in a situation such as being the first on the scene of a motorcycle incident.